Restocked! An old favorite in a new colorway. 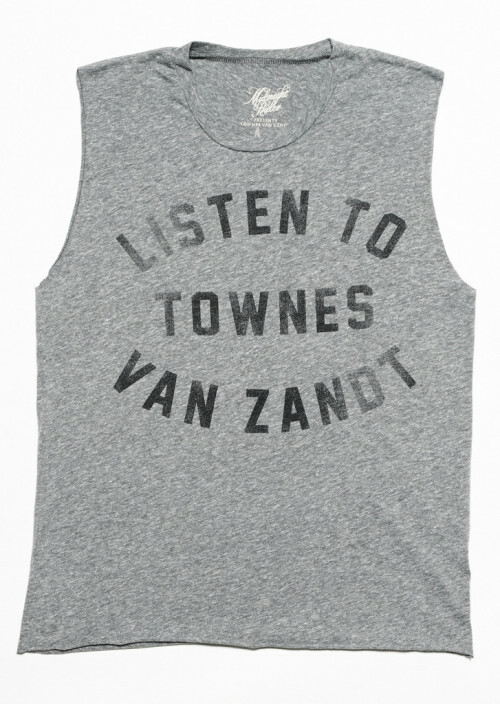 Our Listen to Townes Van Zandt Muscle Tee in heather grey.